"Our mission is to inspire and empower people to take action for social justice through learning about human rights movements, past and present, and the arts"
A special launch event will take place on Thursday 20 April to commemorate this landmark exhibition. This will take the form of a march, starting at the Castle and moving through the city, stopping at Speaker's Corner, where speeches will be given, and ending up at the National Justice Museum. We are looking for people to join the march, steward, and speak at our launch event. If you're interested in attending and being involved, then get in touch with us via email at jtojnottingham@gmail.com. 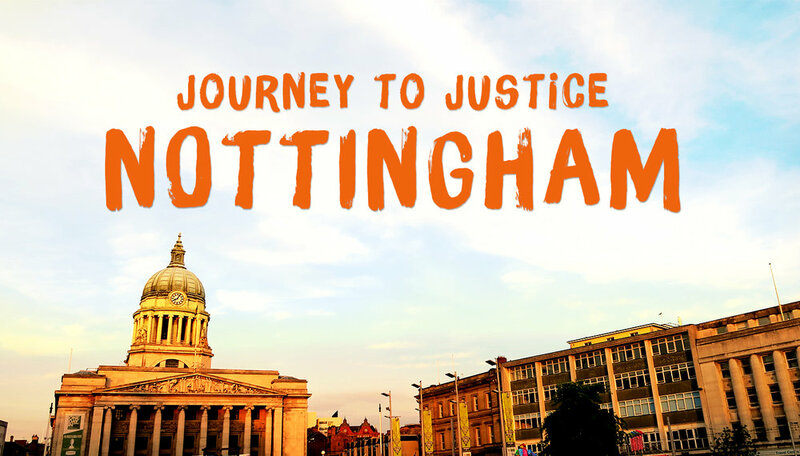 If you are organising or know of an event that you think links with the themes and ideas of Journey to Justice: Nottingham, please let us know. We're always looking to add new events to our calendar and will endeavour to get people along to your event. If you would like to contribute to our blog please get in touch. It could be the story of your fight for justice, a short blog post, a photography collection, or even a short film. Whatever it is we'd like to hear about it.